An enquiry looking at whether or not to ban semi-automatic handguns has met with resistance from a number of shooting and firearms collectors clubs in NSW. The clubs have raised concerns about the potential ban of these weapons, warning that it won’t do anything to curb the number of illegal weapons or reduce the amount of gun-related violence in NSW. What is the purpose of the enquiry? The enquiry into gun-related violence and illegal firearms was set up in 2014 by the Greens, and the findings are due to be tabled in March this year. The effect that banning semi-automatic handguns would have on the amount of illegal firearms in Australia. The extent of the illegal firearms trade in Australia and its operation. What impact stricter storage requirements of legal guns might have and whether electronic alarm systems should be implemented. 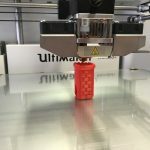 How adequate current firearms laws and resourcing are when it comes to dealing with the problem of illicit firearms and gun violence, especially technological developments which allow for 3D printing of guns and importing in parts. The enquiry also looked at the issues of importing of illicit firearms into Australia and the theft of firearms from within Australia to determine which of the two was more significant and a bigger contributor to gun-related violence and crime. What are the current laws? Currently, if you want to own any firearm in Australia you need to obtain a licence and undergo stringent background checks. You also need to comply with strict storage guidelines if you are storing your firearms at your home. There are inconsistencies between states when it comes to firearms legislation, and it has been stated that new developments in technology have led to loopholes that could potentially be exploited by criminals. What is the problem with semi-automatic handguns? 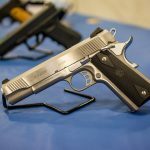 The proposed ban on semi-automatic handguns stems from a few different factors, including the proportion of semi-automatic handguns involved in gun violence. According to police, around 90% of gun-related crime in NSW can be attributed to these types of weapons, and their size makes it easy for them to be illegally imported in pieces and then assembled within Australia. Many shooting organisations and collectors clubs across Australia have spoken up in defence of handguns. The Muswellbrook Pistol Club, whose members use semi-automatic handguns, has warned against the ban, arguing that banning legal ownership of these weapons won’t have an impact on their illegal use and involvement in gun crime and violence. In South Australia, the Adelaide Pistol Shooting Club chairman has also spoken out against the proposed ban, arguing that penalising law-abiding gun owners will make no difference to criminals, as the majority of gun crime is committed using stolen handguns. 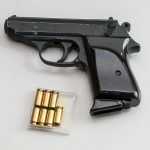 In a well-publicised case in South Australia last year, a man was sentenced to almost four years in prison after illegally supplying a handgun to another man who then went on a shooting rampage and murdered a teenager. 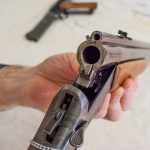 The judge in the proceedings called for a total gun ban in South Australia, stating that the very presence of firearms created a risk that was unacceptable. It is believed that an increase in drug use, especially methamphetamine or ‘ice’, has contributed to an increase in gun-related violence, especially in Victoria. And attempts to reduce the number of weapons being illegally imported in the past is believed to have led to an increase in weapons being stolen within Australia. Many shooting associations support consistent gun legislation across all states. The Muswellbrook Pistol Club has stated that it would support tighter laws around gun storage to help prevent theft. In the Hunter region, slow police response times to back-to-base alarms is one problem that was highlighted by the gun club. As police in that area have such a wide distance to cover, it could take several hours for officers to respond. This would make electronic monitoring and alarm systems less effective if they were implemented as law. 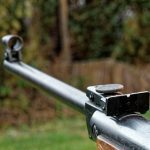 On the one hand, it is argued that penalising legal gun owners by banning ownership of certain weapons is unlikely to have a significant effect on the illegal importing of weapons or their use by criminals who are unlikely to be interested in going through the legal procedures for gun ownership. The contrary argument, of course, is that banning legal ownership would result in less guns being available to steal, and could thereby reduce the number of guns falling into the hands of those intent on committing criminal offences. Rise in NSW Gun Ownership: A Cause for Concern?